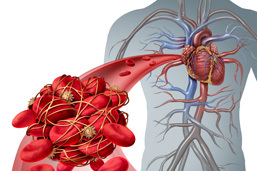 Find out if you are at increased risk of thrombosis. What is the treatment for Thrombophilia? Who should be considered for Thrombophilia diagnosis and how is it done? How to decrease the risk of deep vein Thrombosis for people with Thrombophilia? What are the signs and symptoms of Thrombophilia? he genes most commonly associated with thrombosis are Factor V (F5), Factor II prothrombin (F2) and MTHFR. Mutations found in each of these three genes cause abnormal blood clotting. What genes are associated with thrombophilia? Which genes and mutations are tested in the Thrombotic Risk DNA Panel? What type of sample is required for testing? 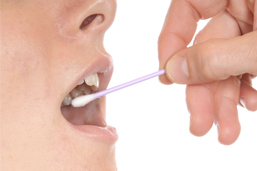 Receive more information or to get your clinic set to up offer Thrombosis DNA testing to your patients.